Best Buy‘s Twelpforce campaign has been awarded with an Interactive Gold for Innovative Use of Technology at the 2010 Clio Awards. 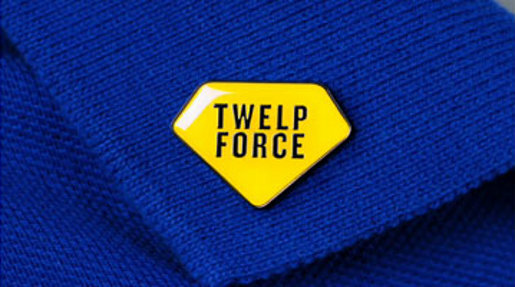 The consumer electronics retailer encouraged their employees to handle online customer service and company promotions via the Twelpforce Twitter channel, with associated work on Facebook and YouTube. “Tweet the Twelpforce, they’re here to twelp”. The Clio award adds to the honour already bestowed in the 2010 Gold Andy, 2010 D&AD In Book, 2010 ADC Interactive Merit, 2009 Creativity Top 10 Digital Ideas, and 2009 Contagious Magazine’s Most Contagious. 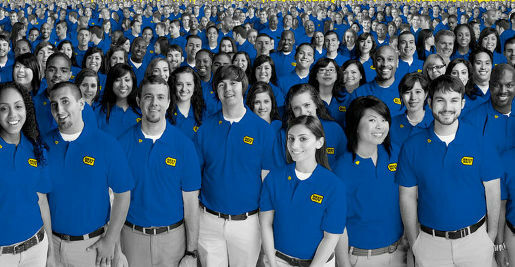 Best Buy employees were invited to use their company and Twitter ID to register for the Twelpforce service, after which tweets from the lot of them were displayed in a single stream on the same page. Once registered, tweeting Best Buy employees from across all operations were able to send messages from the @Twelpforce account. Twelpforce leader John Bernier explains it all here in a video for new Twelpers. Best Buy used television commercials to introduce the public to the Twelpforce concept. People ask @twelpforce a technology question and the collective Best Buy intelligence answers. The Twelpforce campaign was developed at Crispin Porter + Bogusky, Boulder.